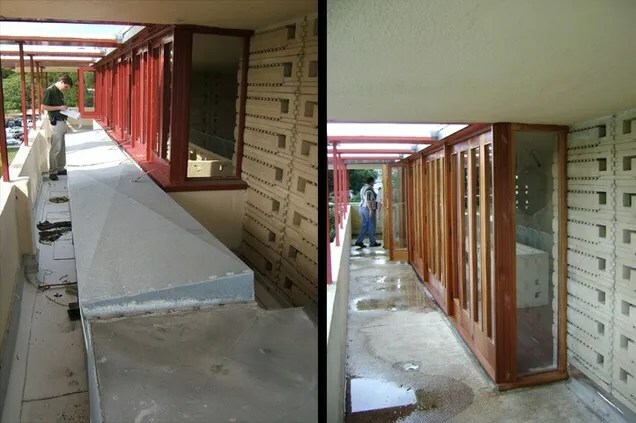 The 21st century method of restoring buildings; 3D printing! The largest collection of Frank Lloyd Wright buildings in the world is at Florida Southern College. Depending on how you count, there are 7 to 12 buildings, the most distinctive of which is Annie Pfeiffer Chapel. 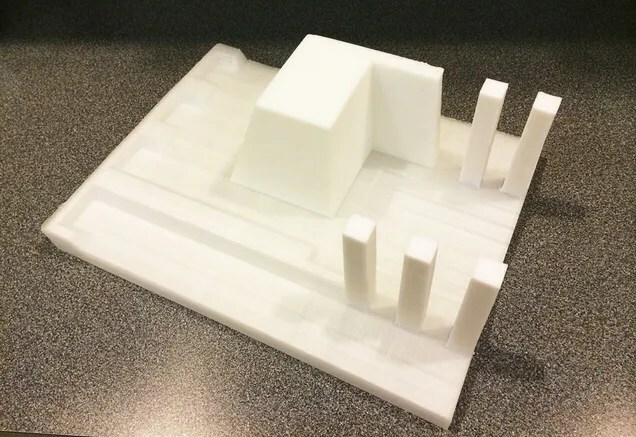 Time has taken its toll on the chapel’s one-of-a-kind concrete blocks, but it’s the 21st century, and we now have a modern solution to fix them: 3D printing. Child of the Sun, as the group of Wright-designed buildings is called, was built over two decades between 1941 and 1958. A few years ago, the architecture firm Mesick Cohen Wilson Baker Architects (MCWB) was brought on to restore the buildings. The Pfeiffer Chapel presented a special challenge. Thousands of Wright’s signature textile blocks make up the walls of the chapel. Time—as well as a hurricane and a failed restoration attempt—have not been kind to the crumbling concrete blocks. With the original handcrafted molds lost, reproducing the patterned blocks would have been prohibitively expensive. Enter the 3D printing restoration project, funded by $50,000 from the Florida Division of Historical Resources and $350,000 from the National Park Service’s Save America’s Treasures Program. Rather than print concrete blocks, the architects printed plastic molds to cast the concrete. Some handmade parts were added to finalize the molds, but the machines significantly lightened the traditionally labor-intensive process. The restoration at Pfeiffer Chapel is still in progress, and the architects are perfecting their mold printing process. 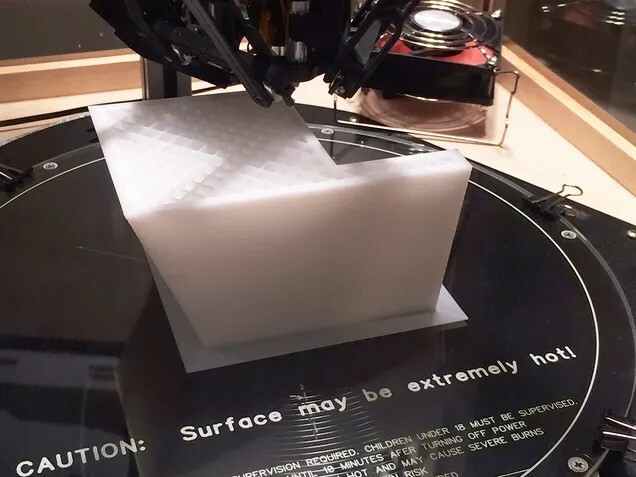 Should it all work out, 3D printing could one day have a major role in the faithful restoration of buildings. To start, Wright designed several iconic textile houses, all made of concrete, all aging, all potential candidates someday for 3D printing restoration.